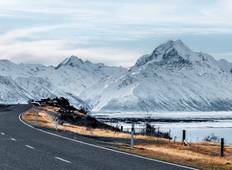 Find the right tour for you through Lake Ohau. 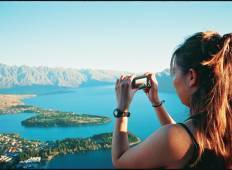 We've got 32 tours going to Lake Ohau, starting from just 6 days in length, and the longest tour is 19 days. The most popular month to go is November, which has the most number of tour departures. "Susie is f*****g amazing!!! So helpful, kind, informative and fun! She made the trip..."
"Izzy was an awesome guide both proffessional and fun and a great guide for contiki." "Great Tour! Visited all the major ski resorts with a great group of like minded people!" "Fabulous well coordinated trip managed extremely well by the tour leader Stacey and..."
"Isobel went all out for all of us to make sure we all had a wonderful and unforgettable..."
"Isobel was a PERFECT guide for the trip! She's fun, enthusiastic, and makes everyone..."
"Izzy made us all feel comfortable and told great stories, she took what could have..."